The first 40 pages of Girl with the Dragon Tattoo were “eh.” Then I couldn’t put it down. 400 pages later I’m done and very excited to read the second part of the trilogy, Girl who Played with Fire. For some reason I was under the impression that the books in this series were geared toward teens but I was wrong with a capital W. There is some sick stuff in there and some very naughty $ex. (The dollar sign is so I don’t get bombarded with spam …because I would). The story takes place in Sweden and the names of people and places are a little tough to deal with at first. I had no idea that so many consonants could be arranged together but apparently in Sweden they can. Hammarbyhamnen. Allhelgonagatan. Sodermanannagatan. Those are actual cities and streets. A Swedish movie was made and an English film is supposedly in the works. The title character is a real badass and very fun to read about. 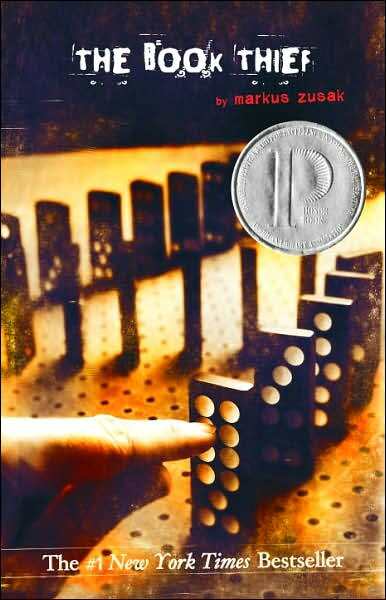 For now though, I need a break from the characters so I’m about to start The Book Thief by Markus Zusak. I’ve heard very mixed reviews of this one so I’m looking forward to getting started. Have you read it?